I would have given the book 5 stars because I enjoyed how unique the story was, but the 3rd car accident was just too much. made the book seem almost melodramatic and over the top. This sequel could have gone many ways based on how there first book ended, but nothing could have surprised me more than this book. This book is a much more troubled romance than the first. It picks up 2 months after the elevator incident today brought them together. They are both secretly fighting deeper feelings for one other, though they find they want to share every spare moment in each other's company. **It's too soon to be love, right? I don't want to jinx a good thing and share the other off if they don't feel this deeply. ** The author does such a beautiful job portraying the characters emotions and insecurities. The reader can relate to the feelings, thus making them more relatable with the characters. To add a twist, Caden suffers from PTSD from a childhood car accident. Stresses in the new relationship cause Caden to question everything and lead to a breakdown and spiraling depression caused by his PTSD. Some my think that the author made PTSD in to a bigger thing than it needed to be since it was in his childhood and should only be effected by cars, but it is a silent beast that grips every aspect of your life at anytime in your life and anything can trigger it. The author does such a wonderful job of seamlessly informing the reader about the frustrations living PTSD and loving someone with it. I like to think of this duet as romance books that also hit underlying issues (ie, judging someone by appearances, loving and living with someone with PTSD). I am so grateful to Laura Kaye for writing the conclusion to Caden and Makenna's story. Until now, I felt stuck in an elevator not knowing which way to go. They fell in love in an elevator with Makenna calming Caden's fragile nerves for over four hours in the dark. PTSD after a tragic accident is not Caden's friend--anxiety, panic attacks, claustrophobia, and a fear of darkness did not make the wait, or life in general, easy for him. 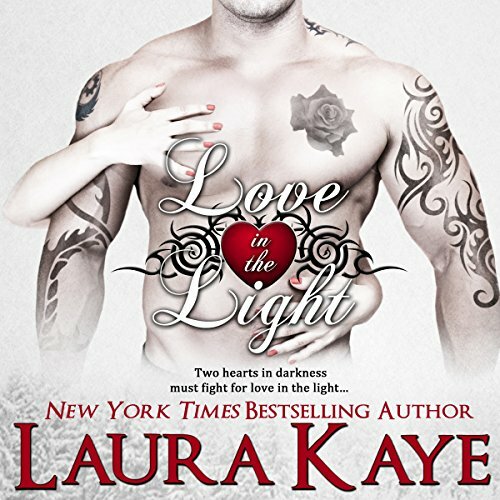 Love in the light tells what happens after the elevator doors open. The connection between Caden and Makenna is strong. They cannot/will not go their separate ways. Their love had me all warm and fuzzy. I wanted their connection. Almost living together just seemed natural. At first it was wonderful, but then Caden's lack of self-worth starts eating at him. Soon his world comes crashing down around him. 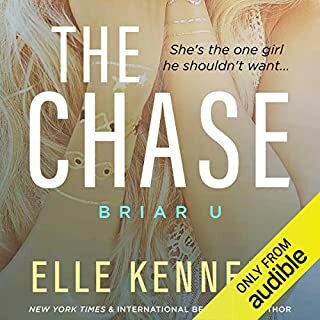 He flees needing space never to return leaving Makenna to deal with his loss and the secret she holds close to her heart. The downward spiral tore at my heart. Ugly Cries. Lots and lots of ugly cries, at times with no relief in sight. I had to wonder if they would ever get back together. This a story of the struggles of depression and its affects on others. It isn't always happy. It isn't always easy. It is a book that grabs and your heart. It is a book that keeps you interested until the end, and then still wondering what they are doing now. 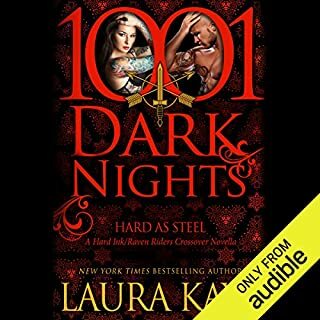 Mar 1, 2019 I listened to audiobook and enjoyed every minute of it. Confession time--I happy danced over the ending. Just as beautiful and heart warming as each of the times of read it. Such an accurate depiction of my own experience with PTSD . These characters are beautiful. The first book in the series just intrigued me so much I couldn't stop listening then this one just blew me away. Short books but a great listen. Happy, sad, love, lost, gain. This book is everything you want from a novel!! You have to read the first one before you read this one. Love in the darkness. I was pleasantly surprised at the first book in this set...I was extremely happy with the second. This series needed both books to really fallen in love with the characters. Great author and great characters. Book 2 in the Hearts of Darkness series, follows Caden and Makenna as they navigate their relationship, dealing with protective brothers and a particularly persistent ex boyfriend, add to this Caden's demons and we have a recipe for another interesting, addictive read. Caden suffers badly with stress in this book and he doesn't handle it well. I've got to say Makenna is a star through all his struggles. I felt so sorry for Caden, dealing with so many personal all issues. I so wanted them to get their happy ever after. A lovely story with some emotional scenes. I, like so many other fans of Caden and Makenna's story, have waited so long for this. And it was worth the wait. I especially liked the honesty with which Caden's struggle with PTSD was presented. It is ugly and all-consuming and ruin so many lives of victims and their families. But then there is love and forgiveness, in all its many forms. At one point I couldn't listen any further, it was by far too painful to experience and share in the heart-wrenching pain, and even the knowledge of an HEA couldn't alleviate that whole in my chest. I cried to Caden even more than Makenna. And so will you. THIS IS A MUST-READ but only AFTER you've read Hearts in Darkness. Where does Love in the Light rank among all the audiobooks you’ve listened to so far? What other book might you compare Love in the Light to, and why? What about Erin L. Jones’s performance did you like?